The Flash TV Series in retro Kenner style! 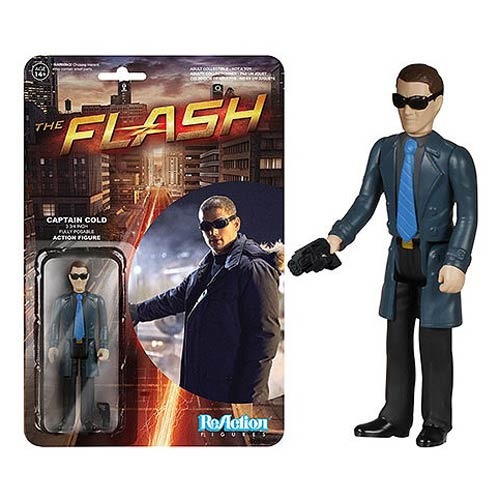 Poseable 3 3/4-inch ReAction figure from The Flash TV Series! Features 5 points of articulation, just like the classic Kenner action figures of the 1970's and 1980's! Featuring the likeness of Captain Cold in a simplified retro Kenner format, this Captain Cold Action Figure is a must-have for all The Flash fans! Each card back features a memorable look of the character from the TV series. Ages 14 and up.